Our spiral wire hydraulic hose usually consists of three parts including seamless oil resistant neoprene rubber tube, spiral plies of high tensile steel wire, and synthetic rubber which has oil, abrasion and weather resistance. The temperature range is -40°C to +121°C (-40° to 250°F). 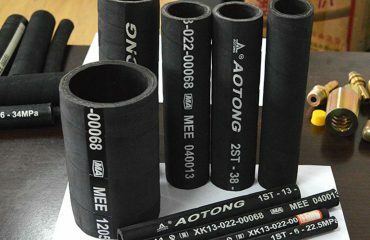 The high tensile steel wire spiral reinforced hydraulic hose provides superior oil resistance, heat resistance and aging resistance by using special synthetic rubber. 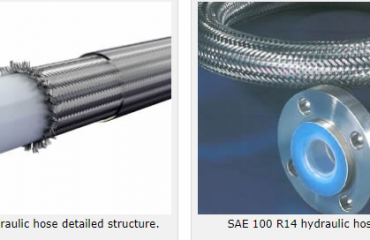 Hydraulic Hose: Medium pressure hydraulic for mobile, machine tool and agricultural, petroleum orwater-based hydraulic fluids.